Over time I will strive to make useful and hopefully interesting shows about the racing sims, games and products I use to get me 'immersed'! Please feel free to comment or add suggestions in the feedback section at the top of the page. This review concentrates on the differences between the v2 and the v3. Next Level have listened to the feedback from the v1 and v2 users and made a lot of subtle but major improvements, some of which I will go in to detail about here, particularly the ones that affected me during my 9 months of the v2. The v3 is a 3rd generation, really compact, easy to install motion platform that increases immersion comnsiderably. All of these combined and the feeling and experience I have with the v3 leads me to a phrase I passed back to the developers back in December... Sophisticated Immersion! If combined with VR (not shown here), it's incredible. 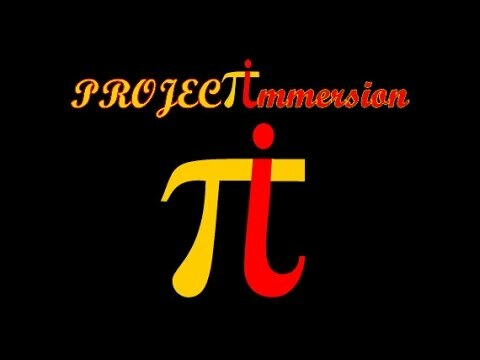 Welcome to Episode 4 of Project Immersion TV. Today I’m going to be talking about the long awaited Next Level Motion v2, finally released in the middle of February 2016. In this episode I’m going to take the unit through its paces, show you how tuneable it is via the options in the software and sim profiles. On top of that, I’ll be showing you what it looks like when racing from the subtlest of profiles to something quite violent so that you can see and hear what it sounds like too. In summary, the Next Level Motion v2 is compact and relatively quiet, it’s not totally silent though. It’s all contained within one unit, no external power supplies or control boxes are required so cabling is minimal and easily tidied out of the way. Side panels are included that are tailored for adding the unit to the Next Level GT Ultimate range of seats, but there are no rubber grips on the bottom so make sure you have it attached to the wheel stand to prevent slipping! Half an hour installation time to add to a Next Level rig! You need muscles though as it weighs a tonne, well 21Kgs, so reassuringly heavy and this shows how solid it is! Your whole body is moved to simulate the G-forces that would be applied to you if you were in a real vehicle, but the wheel, pedals and screen cannot be moved with this solution. Adaptation for your brain is instant, as soon as you start your brain gets it! Tactile feedback is already included and part of the solution through the 2 motors and 2 DoF and you can easily add a Buttkicker to the platform easily on the included post. It takes a while to understand what is what with the profiling software, and which effect controls which movements. It’s not always the obvious one! Speed, intensity of effects and extent of motion is fully customisable once you have grasped it! Some of the early firmware updates have needed the custom profiles to be started from scratch, which takes away the racing time. That said, things are now getting to the point where they are pretty good out of the box and only minor changes are needed to suit the person, vehicle and track for each title. ForceSeatPM is a simple software interface with half a dozen sliders that you can use for ease of adjustments once you grasp what each effect does and how it is interpreted by the platform. It could be argued that a DIY system is less than half the cost, which is great if you have a lot of engineering experience, can provide your own hardware support and want to use open source software the community itself supports AND have a lot of time to invest. The Next Level v2 comes with 2 years warranty in the EU, email based support, professional level software and you can be up and running in the time it would take to have a single GT3 race around Brands Hatch Indy! So, thumbs up to Next Level for developing this great platform with MotionSystems EU to deliver probably the most compact motion platform out there that will fit under most racing rig seats and increase the racers immersion instantly. This experience was incredible, a 1600cc Ford engine 4 speed manual shift racing gearbox (I think Hewland) Formula Silverstone 140hp single seater alongside 11 others at the Silverstone Stowe circuit on the day of the British Superbike Grand Prix going on round the main GP track. I had tried this experience back in July, but the free race was red flagged due to torrential rain and so we all got the opportunity to attend later in the year. 4th October 2015, the weather was clear without any big clouds in the sky, the air temperature was around 17°C and the track was in optimal condition around midday. There was a briefing to start with that covered safety, rules of the track and driving techniques with a very experience racing director and some great demonstration videos. We donned helmets and were assigned our cars, got comfortable, well as comfortable as you can be laying down on a hard plastic seat and got strapped in to within an inch of still being able to breathe as the 4-point harness was pulled so tight. The gear shifter is on the right in these cars and there is just no where to move if you have a frame like mine, but the controls are all at your fingertips next to the 10" D-shaped steering wheel. Lock to lock is about 200°. There is an ignition switch and a starter. The tacho red lines at about 5500rpm and acceleration is 0-60mph in just under 4 seconds. Once out of the pits, we had 6 laps behind a pace car, 3 pace cars on track with 4 single seaters behind each and the marshalls make sure there is room for everyone to be out at the same time. Back in to the pits and the order is shuffled for another 5 laps then back in to the pits once more. I end up randomly behind all 11 other drivers in the pits and so am last to go out. The thumbs up is given and out we go, well, the guy before me keeps stalling and the 1st out is almost 2/3 round when he finally manages on the 6th attempt to pull away I speedily follow him out and get frustrated on the first lap, it is Sunday, but we are on a race course, so no excuses for plodding along. I build my confidence lap after lap and there are 2 overtake points. Overtaking can only happen if the marshalls show the blue flag to the slower car... this happens frequently to the cars in front of me and I overtake quite a few cars.... I didn't get overtaken in the 16 laps, so am chuffed with that and managed to get 2nd place on fastest lap against a guy who brought his own helmet and not only had been in these cars before, but races most weekends in an MX5, so I was well chuffed. I had so much fun, I would recommend this experience to anyone who likes speed and a bit of a challenge, these cars spin quite easily when you drive them wrong and the marshalls called quite a few drivers back in to the pits during the free race period for a sharp word on safety or driving tips. Hope you enjoy the video of my free race session as much as I enjoyed the day! First up, how to output to multiple telemetry devices from Codemasters games. Historically, Codies games can only output to a single device/UDP client. In this example, I show you how to output data to the Fanatec on-rim display, a digital dash (DashMeterPro), a tactile feedback application (SimVibe/SimCommander) and a motion chair (Geko G-Seat Manager/GS-105) all at the same time, using a great little app from EKSimRacing, the Codemasters Proxy Server. Next is a quick show and tell about the new Fanatec addition to my SimRacing armoury, the Clubsport Handbrake along with a sneeky peek at my new screen, a 65" 4K Curved TV and how it compares to the 84" curved wraparound I have been using for the past 18 months. This part is shot in Superwide with the std GoPro Fisheye lens installed and doesn't really show off the 'new view' as I see it, but I explain how I have adapted my desk to suit the new view point. Lastly with a more zoomed in and closer to real life view look at my new viewpoint along with Project CARS brand new DLC release of Ruapuna/ Audi. The new lens is a little too close so I am looking for a 4mm replacement which should mimic my view perfectly on screen in future videos (once sourced). Hello again. This episode is all about views, the view from my seat, my point of view on field of view and my views on triple screens vs SuperFOV vs VR in it's current state, based on my experience with all three. The first part of the show is for those of you who want to know a little bit more about my setup and what software I use when sim-racing. The second half of the show, I witter on about FOV mainly. I hope you enjoy, it's shot in a single take so I apologise now for crashing the Yellowbird a couple of times (well writing it off once actually) ... it'll buff out, don't worry... oh the beauty of sim-racing vs real racing and track days! My experience with the Thrustmaster T500RS, 458GTE and F1 addon rims and of course the TH8RS shifter. I'd been asked by a few people to create a video review of the my Thrustmaster based controller setup, as I've had it for almost 3 years, so this is it. 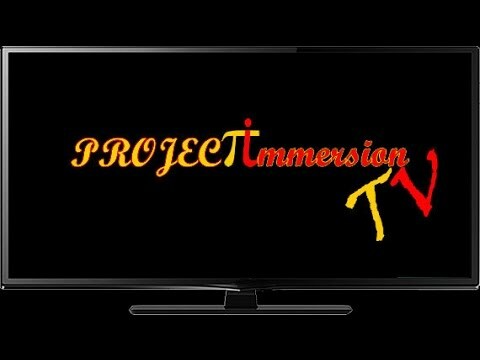 It's the first Episode of PixTV, so may be a bit curly around the edges, but I hope it is useful for some people who may think of investing in the TM kit. Please feed back if you would like to see more PixTV and what you would like to see.